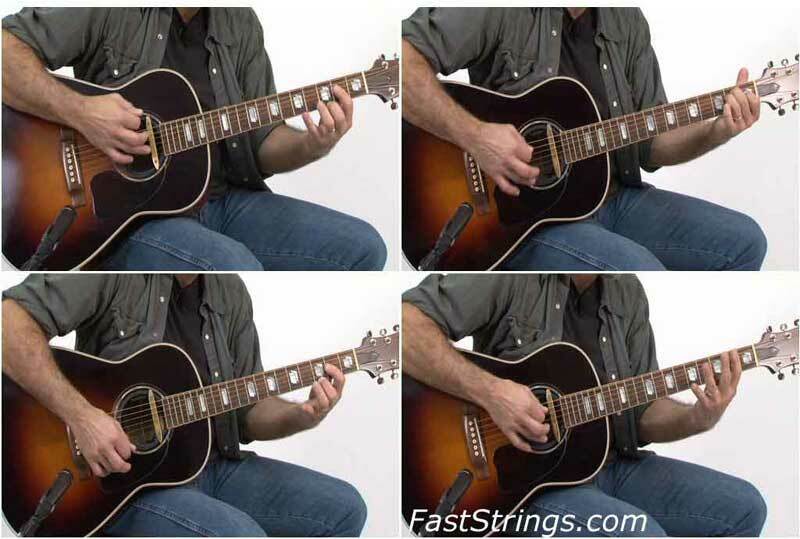 Guitar World 20 Essential Acoustic Rock Licks DVD download. Master the ins and outs of acoustic rock guitar and learn the techniques of players like Pete Townshend, Jimmy Page, Neil Young, Bob Dylan and others. This lick pack will teach you how to play versatile rhythm patterns, arpeggiated open chords, open suspended chords, hammers and pulls, and much more. Andy is a long-time contributor to Guitar World magazine, and before that, Guitar For the Practicing Musician, Andy Aledort is one of the most popular guitar educators of the past 30 years. He has transcribed innumerable songs, written countless guitar lessons, authored several instructional books, and been the featured instructor on a number of guitar videos. As a respected and sought-after blues-rock guitarist, Aledort has performed with members of the Jimi Hendrix Experience and Band of Gypsies, Double Trouble, Joe Perry, Dickey Betts, and the Allman Brothers. Plus, you’ll learn the basics of playing in the styles of rockabilly, early rock and roll, the Beatles, Delta blues and more!